Start your honeymoon amongst casinos, restaurants and the Grand Canyon in Vegas. Hop on a flight to Hawaii and relax around Waikiki, enjoying the fabulous beaches and maybe even try your hand at surfing. Journey to San Francisco and walk around this glorious city, visiting the neighbourhoods and taking tram rides. The larger than life entertainment capital of America, famous for its bright lights, spectacular shows, dazzling casinos and supersize hotel resorts. This glittering jewel in the Nevada Desert is quite simply amazing. Everybody’s vision of a perfect tropical island holiday paradise with all the sea, land and sporting activities you could want and all the opportunities for rest and relaxation you could ask for. Say ‘Aloha’ to Hawaii. Best known for the iconic Golden Gate Bridge, cable cars running up and down the hilly city, the foggy sky and Alcatraz Island, it’s no wonder San Francisco has frequently been voted one of the top visited cities in the world. With an open and inviting feel, the city is a great starting point for a few nights stay before a self-drive holiday on California’s coastline or across to the wine country, Lake Tahoe, Yosemite National Park and Las Vegas. Below is an example itinerary. For a tailor made Las Vegas, Hawaii and San Francisco honeymoon multi-centre call 0121 440 6268. 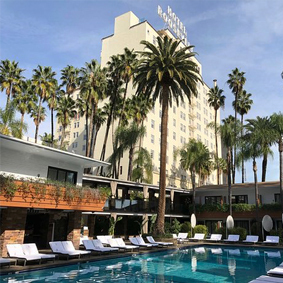 A honeymoon in Hollywood exploring Los Angeles and with the perfect city hotel that’s oozing glamour, where you can relax by the pool with a cocktail in a hotel just a short distance from the famous Hollywood Walk of Fame and its colourful nightlife. There are 200 guest rooms in this iconic high-rise hotel in Hollywood that was built just above the Walk of Fame and was home to the first Academy Awards in 1929. This hotel is the oldest and has so many stars staying there over the years! A Los Angeles honeymoon is perfect exploring, relaxing and great nightlife. 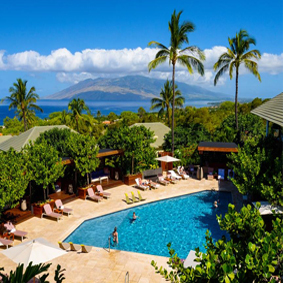 Voted the top hotel in Hawaii by Condé Nest, the Hotel Wailea in Maui is truly a tropical paradise that is perfect for those seeking the chance to enjoy each other's company in a luxurious tropical setting. Ultra secluded with unobstructed views of the ocean and a beautiful private beach, sitting in 15 acres of grounds with cascading waterfalls and meandering paths this romantic sanctuary is for adults only and is perfect for honeymooners seeking total relaxation together. Inspired by Greek legends and the intrepid adventurers and fortune-seekers of the Gold Rush era, the historic Argonaut Hotel is a San Francisco establishment that effortlessly melds history, style and character to create a one-of-a-kind accommodation experience. 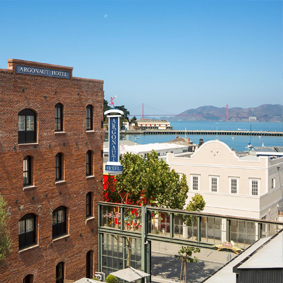 When you opt to stay at this award-winning boutique hotel you benefit from well-appointed, deluxe accommodations, delectable dining, world-class amenities and easy access to Fisherman’s Wharf and other popular San Francisco attractions. If you have planned an unforgettable San Francisco honeymoon why not make the legendary Argonaut Hotel your luxury hotel of choice.